Looking for rare animals? 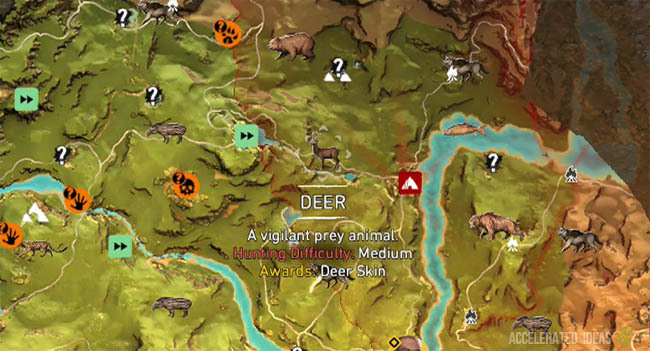 In particular are you trying to find Rare Deer and Rare Lions on the world map? Good luck with that,you know why….they don't appear on the map!! Yes that's right, rare animals are not featured on the world map. So how are you supposed to find them? Round about now you're probably a couple of missions into the game thinking about upgrading your huts again. In that case you're going to need Rare Deer and Rare Lion skins for the second upgrades for Jayma's and Tensay's hut. Until now you've been getting by with regular skins for your crafting needs, but that's too easy and the game wants you to go on the hunt for rarer varieties instead. Jayma's second upgrade has the tempting double bow reward for double the damage against enemies whilst Tensay's going to give you just 3000 XP but he requires less demanding resources for his part. Other crafting recipes also require rare resources. For example, upgrading your Winter Clothing requires Rare White Yak Skin whilst Rare Jaguar Skin is used for upgrading items in your inventory. 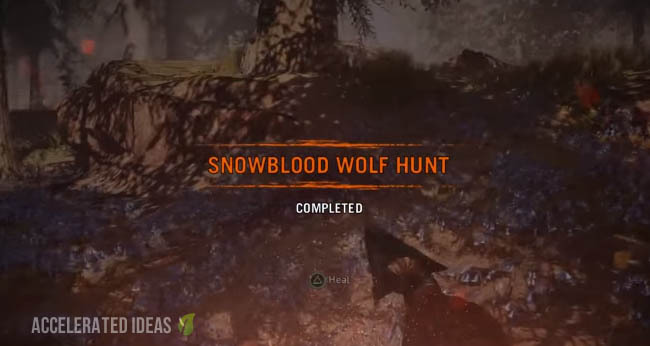 In most cases though, the second upgrade for a hut will require some kind of rare skin whether that's white deer, black lion, red elk, two horn rhino or red bitefish. Where are rare animals found? Good question and one that stumped me for a while as well. 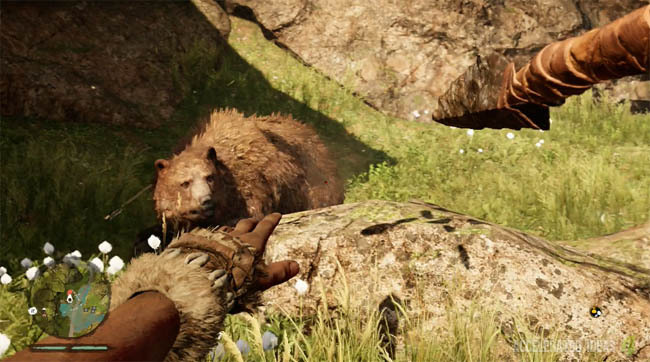 In turns out that in Far Cry Primal rare animals are very similar in behaviour to their lesser cousins. You will infact find Rare Deer in exactly the same place as ordinary deer. 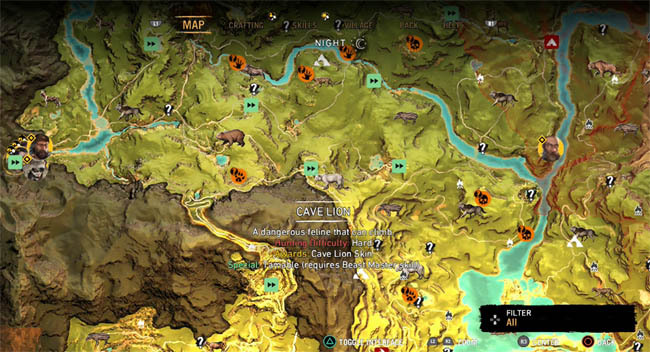 The same is true for Rare Black Lions - you will find these guys in the same place as regular Cave Lions. The only way to spot the difference is by their colour (or other specific feature in the case of the rhino). For example Rare Deer are a different colour to normal deer, the same is true of the Black Lion. Tip: having a tamed Dhole that both kills and skins at the same time will help you through the hunting phase. The answer is timing. Although Rare animals are native to the same locations they have a greatly reduced spawn time meaning that they'll appear very rarely - hence their name. If you find yourself in the same location as regular deer (or lions) then just see it through, hold out for a bit longer and eventually you will find one of these rarer creatures. Don't worry you'll soon be on your way to upgrading those huts.